Bouncing Buttons crafts making it simple: First try at a dress. I made this without using a pattern. I did use a dress we had on hand for the size. It was very easy to make. 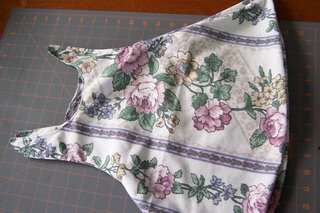 I was able to cut and sew it up in just a few minutes. I made this out of an old sheet because I was afraid I would have try 20 or so times to get a dress to work. This looks cute on DD. I didn't need any fasteners for this. It ties in a knot on the shoulders. 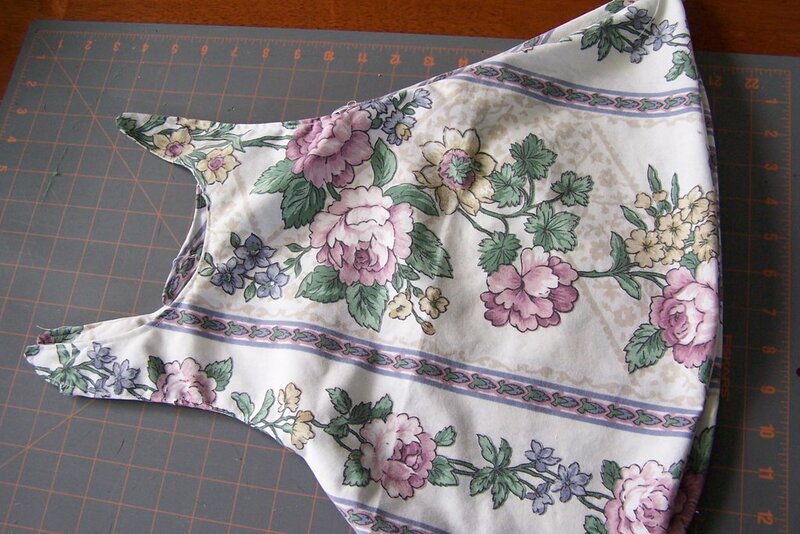 I am going to make another but I will layer it with 2 different fabrics (not a sheet). All I want to change is I need to make my ties a little longer.